Kyrgyzstan refused to sign the Eurasian Economic Union's (EAEU) Customs Code and a statement on the development of EAEU trade policies, according to Chairman of the Eurasian Economic Commission's Board Tigran Sarkisyan. 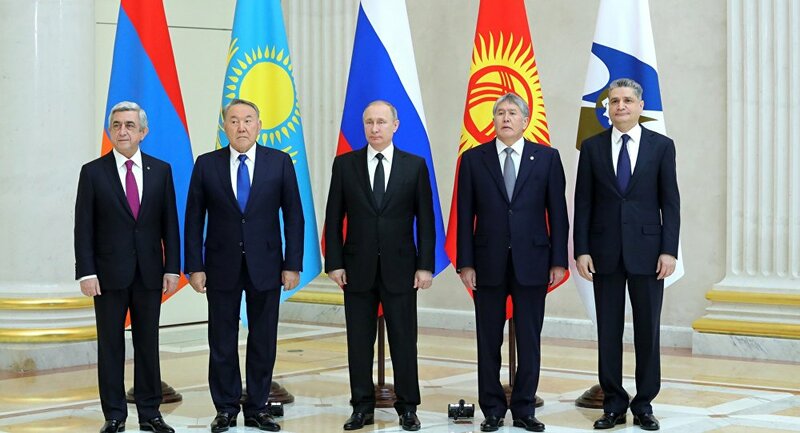 ST. PETERSBURG (Sputnik) — Kyrgyzstan did not sign the Eurasian Economic Union's (EAEU) Customs Code during an EAEU Supreme Economic Council meeting on Monday, Chairman of the Eurasian Economic Commission's Board Tigran Sarkisyan said. According to Sarkisyan, only three EAEU members signed a statement on the development of EAEU trade policies and the EAEU Customs Code during the meeting as Belarus President Alexander Lukashenko did not attend the event and Kyrgyzstan refused to sign them. "All documents were signed except the first issue on the agenda — a statement of the development of EAEU trade policies, which three countries signed but Kyrgyzstan refused to sign, and the second document — the Customs Code, which three countries signed but Kyrgyzstan refused to sign," Sarkisyan told reporters in St. Petersburg. The EAEU is an international organization for regional economic integration, comprising Armenia, Belarus, Kazakhstan, Kyrgyzstan and Russia.